Bust out the stretchy pants; we're heading to Angelique's! I've heard that the portions here are crazy from more than one person, not to mention the many rave reviews. It was time to see what the hype is all about. It was midmorning on a Sunday and it was packed. It's a small space, but they use it efficiently. It's nothing fancy, but it gets the job done. Luckily, there was no line, but one started immediately behind us. After about 10min, we were seated. The servers are cheerful, quick and efficient, small talk was minimal. They know how to get right down to business. Drinks came and our food orders were taken. It wasn't long before the food arrived, even though it was still packed and the lineup was growing. When the food arrived, I started laughing. All of the rumours were TRUE! I ordered a 2 egg breakfast and got 3 eggs. My man ordered eggs benedict; menu says it has 3 eggs, but it came with 5. FIVE FREAKING EGGS! We both loved our giant breakfasts. 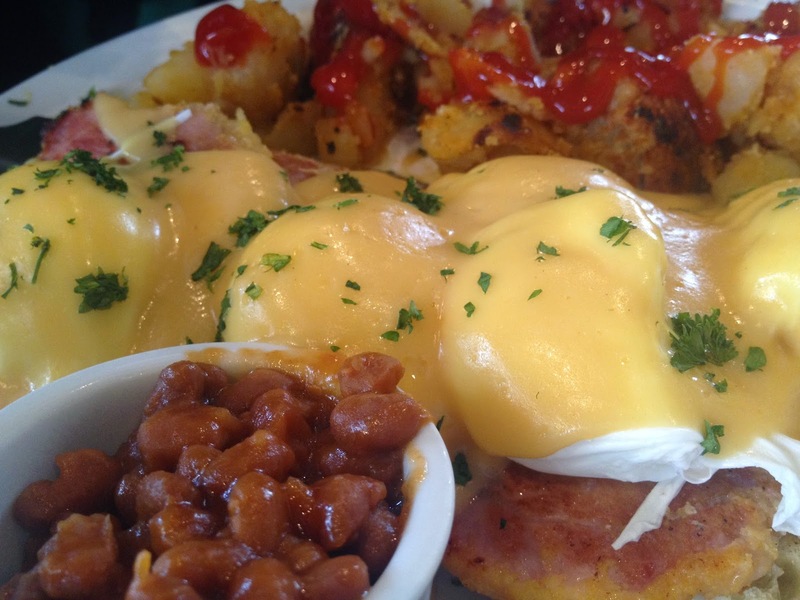 The eggs benny was great; piled with peameal bacon and smothered in hollandaise sauce that wasn't too salty, but very creamy. 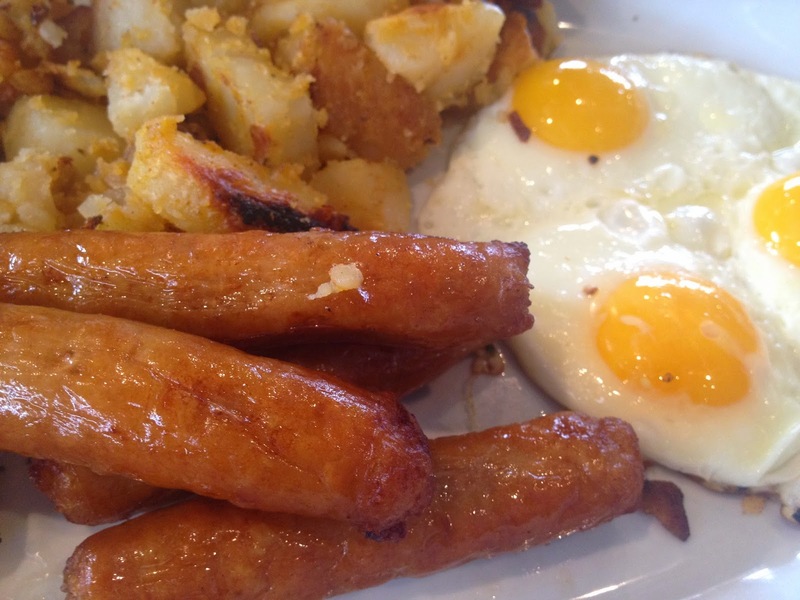 I made quick work of my eggs and sausage, but there was so many homefries! The homefries were alright, but I've had better. We both couldn't finish. We tapped out and asked for a takeout container. The service and prices were amazing. It is a very busy place, so there may be a wait to get seated. This place is busy for a reason! Weekend breakfast? Get to Angelique's!